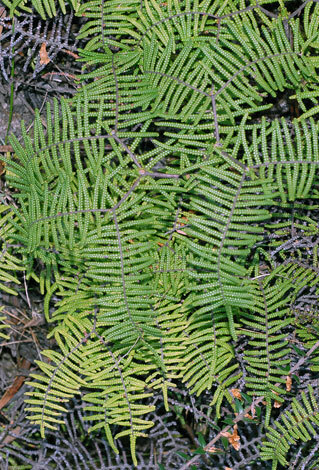 Found in dark damp places in the temperate forests of Tasmania, this endemic fern will often form huge sheets. It has deep pouches under the pinnules covered in hairs. 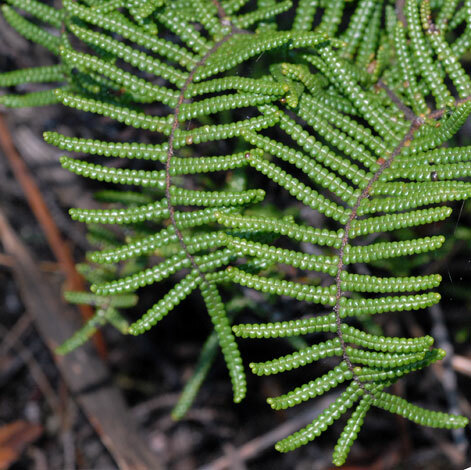 Although it is often referred to as an alpine pr sub-alpine plant it was growing at sea level at Strahan.